We lost Junior Markham Sept. 21. He was one of the greatest figures in Tulsa music for the last 60 years. He knew everybody and had millions of stories which he told in a poetic and entertaining manner – often onstage. He was a singer, a handsome and charming front man and he developed a barn-burning ability on the harmonica. He was born James Keys Markham in Pryor Oklahoma March 16, 1941, and moved to Tulsa while in school. He was in the first wave of Tulsa Rock and Rollers, who played more standards than rockabilly to begin with. By 1958 he had formed The Swinging Shadows that included Jimmy Karstein, Tommy Crook, Bill Raffensperger, Bill Boatman, Buddy Jones, Jim Manry, Dudley Murphy, Bobby Jones and Carl Radle. 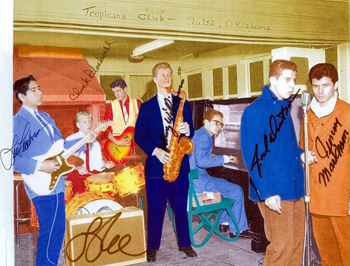 The band in 1959 included Leon Russell Bridges, Chuck Blackwell, Lucky Clark, Johnny Williams and Leo Feathers. He did his first recordings about 1960 in Oklahoma City with Chuck, Leon, and Carl Radle. Jack Dunham was another singer around town at the time. Jimmy said he was his friend since Jr. High and a mentor to him about blues and R & B. Of course, Markham became a mentor himself to generations of musicians. Jimmy said Jack had “A heart full of larceny.” When Esquerita was in town, Jack called The Small Hotel and made threats to lure the big androgynous singer out onto Greenwood for a fight, and watched from a safe distance. In 1962, he decided they should be on American Bandstand, so Leon, Chuck and Carl piled into a Ford Sedan with their equipment and drove to Philadelphia. It was so crowded, they threw the back seat out in Missouri. Of course, you just don’t show up and get on national TV, but they were full of youthful enthusiasm. Leon soon moved to Los Angeles. Jimmy continued to play around Tulsa at places such as The Fondalite and Casa Del, with a band that became the Scamps. This included Don Nix of The Memphis Horns, Gerald Goodwin (of David Gates’ original band The Accents), Tommy Tripplehorn on guitar, Gary Sanders (The Colonel) on drums and Gary Gilmore on bass. 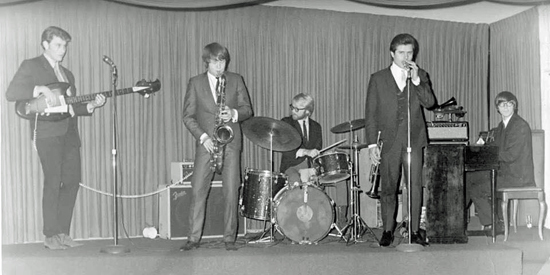 About 1963, Bobby Keys joined. Bobby played on many hits by The Rolling Stones, and toured with them for many years. Roger Tillison of Duncan OK, also joined on trumpet. 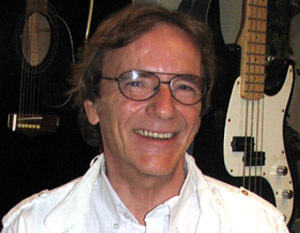 John Gallie joined on keyboards – he played organ with Leon’s touring band in the 70s. 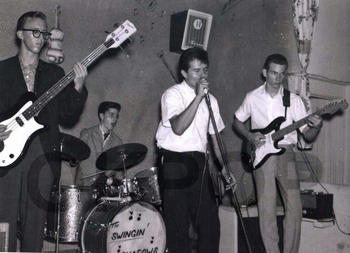 Jimmy then moved to California in 1964 and played the famous Palomino Club with the Scamps, with James Burton on guitar. This became The Tulsa Rhythm Revue and Johnny “J.J.” Cale soon joined on guitar. Bobby Keys came back, and they played The Whiskey Au Go Go. 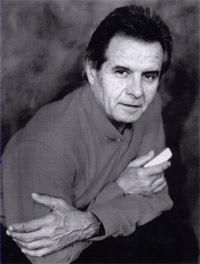 In 1966,Junior contributed to The Leathercoated Minds album. This was a project of Cale and producer Snuff Garret, meant to capitalize on psychedlia, covering some of the trippy music of the day, as well as some original music by Cale. Roger Tillison is on the cover. 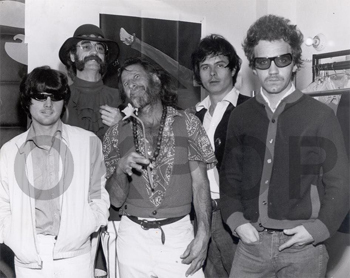 The title is “A Trip Down The Sunset Strip” and personell includes, Bill Boatman, Gary Gilmore, Chuck Blackwell, and Karstein. It’s a collectors item and was reissued in 2006. Around this period, Junior was getting work doing demos, because of his great vocal ability. 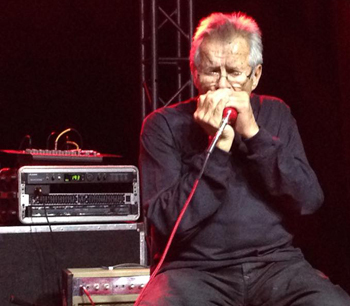 He also played trumpet on the original Cale recording of “After Midnight”on Viva. He got a record deal with some label and it was their idea to do one side of the album all Chuck Berry covers and the other side all Bo Diddley covers. The album wasn’t released because someone at the label deemed the vocals ‘too raw”. In 1969, Junior opened Fat Fannie’s at 2802 S. Harvard, The house band was Larry Bell, David Tanner, Don Duca and Jim Byfield. In 1976, he opened The Paradise Club about 65th and Lewis and booked many famous entertainers whom he knew personally, including Albert Collins, Delbert McClinton, Bonnie Raitt,Herb Ellis, Barney Kessell, Mose Allison, Tony Joe White, Gatemouth Brown, John Hammond, Son Seals, Koko Taylor, Sonny Terry and Brownie McGee, and Charlie Musslewhite. Willie Nelson dropped by and sat in after a Tulsa concert. About 1980, he put out a single of “Lipstick, Powder & Paint’ b/w “You Bring Out The Boogie”. In 1983 he opened Junior’s Barbecue at 68th and Peoria, which was popular for several years. Ronnie Dunn played the grand opening. Junior told me that Bo Diddley taught him a few things about barbecue. He moved to Nashville for a while and worked with Leon both musically and in other capacities. In 1999 he put out an album called “Wound Up tight” which featured several of Leon’s songs. “Something always happens.” He said of the music business. Just as his album was released, he saw the owners of the company on TV being arrested for drug trafficking. They may have been smuggling in record shipments. The last few years, Jimmy has been playing around town with The Caretakers. His latest album is “Get Ya Head Right”, a collaboration with Charles Tuberville and Walt Richmond. He had a tremendous collection of musical memorabilia, pictures and posters, some of which were destroyed by a house fire this past spring. Much of what is left will probably end up with OKPop. Jimmy was a great resource of local music history, as well as a part of it. His loss is a great one for all Tulsa. All Leon fans know this song from his first album. Here are some of the lyrics. Why do some people have to hurt somebody? The firewater’s not the villain. I knew there’d be some cameras rolling if Andy was standing around. Of course, this is just a song, but it was inspired by actual events. The Plantation was a house in Sherman Oaks rented by a Tulsa musician, and several people including Gram Parsons and J.J. Cale lived there at various times. Many well-known people hung out there, too, including Taj Mahal, Delaney and Bonnie, Bobby Whitlock, Jesse Ed Davis, and Don Nix, among others. Junior is, of course, based on Jimmy Markham. The Colonel was what they called Gary Sanders. The drummer is Chuck Blackwell. So what really happened? The two stories don’t line up. Armed with the lyric sheet and Nix’s book, I went to talk to Markham. He didn’t even know all the words to the song, and agreed that it was just a fictional story. Leon wouldn’t disparage the real Junior’s musical ability; they were lifelong friends. “The firewater’s not the villain? Is that line in there?” he asked. It is. “Who is Andy?” I asked. He wasn’t aware of that line either. “I take it there was no knife and Chuck wasn’t pounding on you.” I ventured. “No, that’s all just poetic license; stuff to fill out the rhymes.” He said. Then I read him Nix’s account. He didn’t deny ranting and raving or threatening anybody. “Sanders did fire the gun, at least once, maybe more. I’m sure he didn’t fire six shots. He wasn’t even actually pointing it at me. He wasn’t trying to kill me,” Junior added. As for finding your girlfriend in bed with Chuck, I wouldn’t be surprised if that happened a lot. Young Chuck looked like Robert Redford and was popular with the womenfolk. So who was there? Is Jimmy the only witness? “I don’t really remember. I know Nix and Whitlock weren’t, but I think Karstein was,” Markham said. We’re sorry if we ruined your memories of the event. Then again, we’re glad it wasn’t as dangerous as it was made out to be. About the author: Jim Downing has been a Tulsa based professional musician and writer for over 50 years. He has written on topic for several publications since 1983, and has been with Tulsa Today from our beginning in 1996. This entry was posted in Local on October 8, 2018 by admin. GREAT SHOW of WORDS I say indeed………….